You don’t have to travel to an exotic location to find “superfoods” that can keep you healthy and cancer-free. These common (and affordable) cancer-fighting foods can be found at just about any grocery store! One of the most important factors – if not the most important factor – for good health, is what you eat. Not only does eating healthy improve your overall health, mood, and energy, but it also can potentially reduce your risk for certain diseases – even deadly ones like cancer. This may sound daunting, but in fact, you should really look at it as empowering! The food choices you make every day can determine your health, which means your health is up to you! 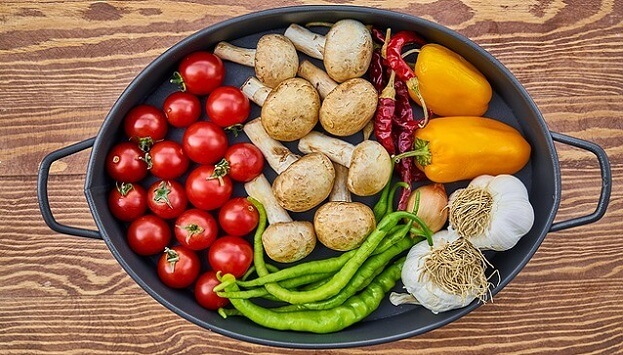 An extensive study called the European Prospective Investigation into Cancer and Nutrition (EPIC) has recently confirmed just how influential your diet really is when it comes to cancer risk. The EPIC study included research from over half a million volunteers in 10 different countries, and the findings confirmed that certain foods have a dramatic effect on your risk of developing cancer. While some foods have a strong protective effect, others – such as highly processed foods – may in fact contribute to the development of cancer. The good news is, some of the best cancer-fighting foods aren’t exotic “super-foods” that you can only find in the Amazon rainforest, or that cost an arm and a leg even if you can find them. In fact, below are three of the best cancer-fighting foods around – and you can find them all right in your local grocery store! You already know dark leafy greens are great for your health. And you may have heard they can help you build up your defenses against cancer. But if you think that means you always have to eat the more “exotic” greens such as dandelion or beet greens at every meal you’re wrong. Because the truth is, you can grab an ordinary container of organic spring mix and still reap those health benefits. Spring mixes usually contain a variety of healthy greens such as spinach, romaine, arugula, frisee, mizuna and more. And all those delicious greens are bursting with cancer fighting antioxidants, carotenoids, fiber, folate and chlorophyll. Plus experts say the antibacterial and antiviral properties hiding in their leaves could help weaken cancer cells, breaking them down so they don’t spread. Helps fight: mouth, larynx, pancreas, lung, skin, and stomach cancers. When most of us think of cruciferous vegetables broccoli, cabbage and cauliflower come to mind. And they’re all three terrific choices for your cancer-fighting menu. But they aren’t your only options. Kale, Brussels sprouts, radishes, turnips, broccoli sprouts, kohlrabi, arugula, watercress, rutabaga and even horseradish (as I revealed the other day) are all cruciferous cancer fighters too. So go ahead and mix things up to keep it interesting. Cruciferous veggies are high in glutathione, an antioxidant so powerful it’s earned the nickname “the master antioxidant.” And they’re also an excellent source of sulforaphane, a compound that can literally purge your body of carcinogens. In fact, a study out of the University of Michigan found the sulforaphane could help destroy cancer stem cells, stopping them in their tracks before they begin producing tumors. Helps fight: breast, liver, lung, prostate, skin, stomach and bladder cancers. Traditional medicine has been making use of mushrooms for centuries now. But modern science is finally starting to catch up, confirming their cancer-fighting powers. Researchers in India found that mushrooms don’t just have general anti-cancer properties. They confirmed they could boost the immune system, slow the growth of cancer cells, prevent cancer cells from spreading and even help repair DNA to prevent cancer mutations. And in another study out of China, women who ate mushrooms every day were 64 percent less likely to develop breast cancer tumors. Many of the mushrooms studied by researchers are on the more exotic side. But the good news is some of the cancer-fighters are ordinary fungi you’ll find in the produce section at your local grocery store. Two of the stars are oyster (or abalone) mushrooms and button mushrooms. Helps fight: breast, bladder and prostate cancers. But that’s not all! Other awesome cancer-fighting foods that you can easily find in your local grocery store include tomatoes (fights lung, prostate, stomach, and endometrial cancers), orange fruits and vegetables such as oranges and carrots (fights skin, eye, colon, and intestinal cancers), and just about any type of berries (fights colon, esophageal, oral, and skin cancers). Choosing healthy, whole, real foods is just about the best (and cheapest) form of health insurance you can buy. Take control of your health, and eat lots of these delicious and healthy cancer-fighting foods on a daily basis! You’ll feel better, have more energy, and reduce your risk of cancer and other diseases at the same time.